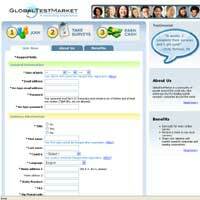 Global Test Market is an online community that has members in 49 countries. They are owned by Global Market Insite (GMI), which was founded in 1999 with the goal of developing technologies to assist market research companies to conduct global research faster, easier and at a better price. Becoming a member of Global Test Market requires you to fill out an online registration form. After doing so, you will receive an account activation email in order to confirm your registration and soon you will begin to receive email invitations to complete surveys. On average surveys take 20 minutes to complete, and you are rewarded for each one you take with MarketPoints or Sweepstakes entries. Keeping your personal information up-to-date by filling out profile surveys increases your chances of being sent more surveys. Each survey invitation clearly states the amount of MarketPoints or Sweepstakes entries available for completion, with longer or more urgent surveys awarding a larger number of points. Survey invitations are sent via email and can be completed day or night at the member’s leisure. At times members don’t qualify for a survey after answering introductory questions and if this occurs, panelists are still rewarded for their time and effort. MarketPoints are automatically deposited into online accounts for each member at the successful completion of each survey. 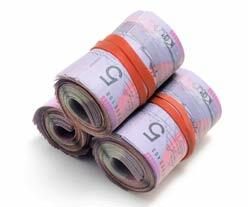 Once a Global Test Market panelist has accrued 1000 MarketPoints, they have the option to redeem their points for cash. Members receive a $50 USD cheque for each 1000 Market Points they redeem. 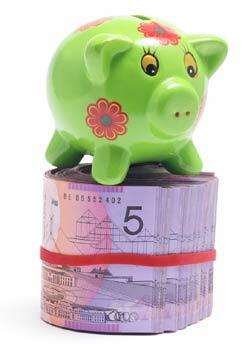 Daily and quarterly cash sweepstakes are also available. Members receive from 1-3 entries for each survey they participate in. Daily winners can win a $300 USD cash prize, and each quarter winners receive cash prizes worth $20,000!